Apple’s first iPhone was released just a little over 10 years. It wasn’t the first smartphone ever but it has changed the world ever since. It has revolutionised the world of mobile phones. Eco Green IT looks at how iPhone has changed the world in last 10 years for consumers. Here are a few facts that show some significant changes over the past decade. According to Ericsson, there is no match between voice and data traffic. Data traffic has gone up to nearly 10 TB over the last decade whereas voice traffic has been nowhere near this huge figure. Smartphones have allowed us to take photos everywhere we go. With photo-editing apps and rise of social media platforms, it gave us a great reason to post our photos regularly. According to Key Point Intelligence forecast for 2017, almost 1.2 trillion digital photos will be taken out of which 85% will be taken on smartphones. Now that’s something huge and clearly shows the trend being changed. Thanks to smartphones, people all over the world spent their majority time consuming media last year. Socialising now occurs on various social media platforms and over mobile connections. This has also resulted in less reading of physical newspapers and watching television. Apple generated a revenue of £14.8 billion in 2006, mostly from iPod and Mac. Apple’s business has grown more than 10 times in the last decade. Last year, Apple generated a £165.2 billion revenue. iPhone drove 63 percent of its sales last year, clearly showing that iPhone has a huge part in the massive growth in Apple’s business. 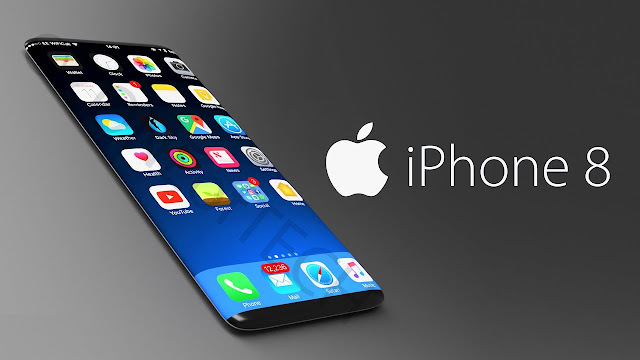 In 2018, Apple is expecting to sell a total of 241 million iPhones, compared to Samsung’s 404 million, according to research conducted by Canaccord Genuity. You may be confused by the numbers but in reality, iPhones are more expensive than most other smartphones including Samsung. This means that while sales of iPhones are not the biggest, its revenue per phone definitely is. With this fierce competition, companies like BlackBerry and Nokia are nowhere to be seen the current smartphone market. People love buying new smartphones all the time, especially iPhone. Since every year a new model is released, the old ones get outdated pretty quickly. Therefore, if you are looking to update your iPhone, do get your old one recycled with Eco Green IT. We recycle all Apple products including iPhones and other smartphones as well. Moreover, if you are looking to get your old computers or IT equipment recycled, contact us today. Our recycling centres are spread all over UK. So, call us and our representative will be on your doorstep to collect your equipment for recycling.